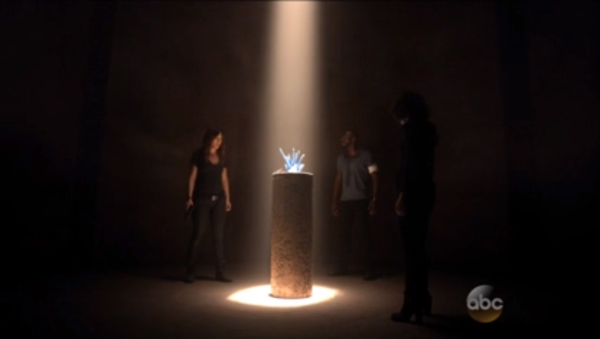 A bit of a short week for you this time around, though I do have a bonus review of last week’s Agents of S.H.I.E.L.D. as I forgot to watch it last week. 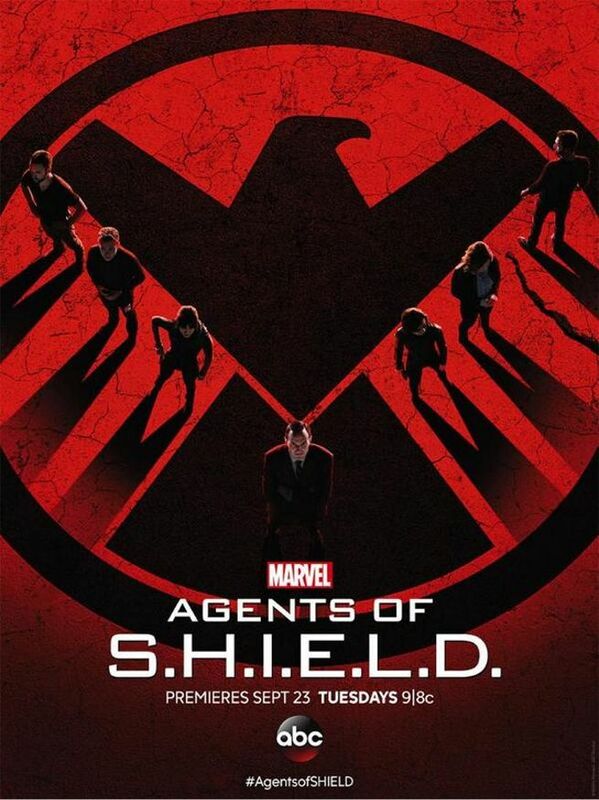 Which is a shame because I have been enjoying the second season of this show quite a bit, it just slipped my mind. It’s time for the last 3 mid-season finales, something that I feel like is a completely artificial practice that has popped up in the past 5 years or so. Some days I think that the networks should move towards a more cable-like season formula where the seasons are shorter, but they aren’t in blocks of a year. In fact, it could essentially still be like what it is now, but it would actually be considered two seasons, the fall season and the spring season. But whatever, it’s too ingrained in the networks’ marketing at this point for them to try and shake things up. But anyway, mid-season finales for everyone! Or at least, for Flash, S.H.I.E.L.D, and Constantine. And onto the final cliffhanger midseason finale of the year with the on-the-bubble Constantine. 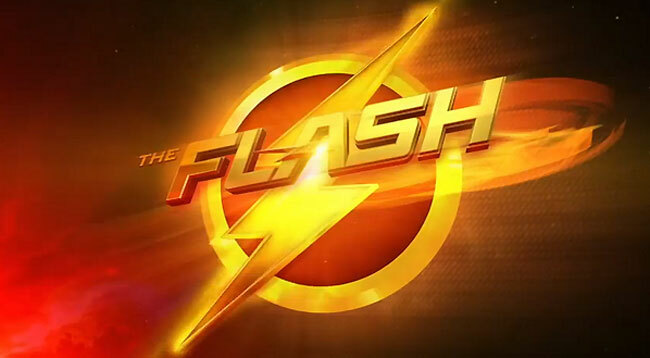 I have been enjoying this show for the most part since it started, it has one of the more morally ambiguous leads than any of the other shows so far aside from possibly Arrow which I don’t actually watch. The monster of the episode this week is one of the Garden of Eden’s Eve’s sisters who is more or less some type of vampire demon who steals a couple babies from the same family. And of course, it turns out that this family has ties to an ancient horror that has been thought long extinct, so much so that Constantine has no idea how to fight it. So of course, that is what is apparently responsible for the rising darkness which aims to destroy the barrier between the spirit world and the real world. Which is unfortunate because that is one of the most cliched storylines when it comes to these types of demon hunter or spirit hunter stories and most of this show has felt better than that. I imagine there’s still a way to spin that story into something interesting, but if I’m not that interested in the impending doom that’s supposed to befall our mighty heroes, then I’m less interested in the show overall. Meanwhile, there’s also the story of Zed who has been left behind while Constantine and Chas goes off to Mexico, even though yet another one of Zed’s talents is the ability to speak fluent Spanish. Or at least passable Spanish as she only speaks a couple lines to Constantine to show off. Anyway, it’s been hinted at in previous episodes that someone close to Constantine will betray him and last episode we saw that there is someone after her. And they finally come to get her here, even though she supposedly would have been safe if she had listened to Constantine and stayed inside the house. We also get to meet another one of Constantine’s old mates who was with him during the botched Exorcism in Newcastle. Anne Marie has a few tricks up her sleeve, though she has since joined a convent and is now a nun in the service of the Lord. Once the monster has been revealed and the plan is in place, Constantine once again tries going the same route he did with Gary in the Feast of Souls episode, but Anne Marie is a bit too smart for that and sees what he is trying to do immediately. And in fact, she actually turns the tables on him near the end of the episode, leaving him shot while some sort of weird looking demon is making his way towards them so that she can escape safely with the two babies. It’s a decent cliffhanger but for whatever reason, I just wasn’t as into the episode as I had been so far. And it didn’t help that it is a two part episode, though it’s helped a little bit that this seems to be one of the first shows out of the gate next year along with Gotham, coming back in the second week of January while the other shows don’t start up again until late January or February, and there’s still no date set that I know of for the new show iZombie. But hopefully the latter half of Constantine is able to pick things up because I still think it has promise and is worthy of more than just 13 episodes. Until next time, this has been Bubbawheat for Flights, Tights, and Movie Nights. Posted on December 16, 2014, in TV Nights. Bookmark the permalink. 5 Comments. I’m assuming there’s no way that Agent Triplett survives, right? He appeared to basically dissolve into nothing, so I expect he’s gone. It seemed like they would kill at least someone given how large the team is at this point. Mack seemed like an obvious choice, but he does have a connection to whatever Bobbi is doing. Triplett seemed like the most expendable in terms of where the story was going. Yeah, he is the most expendable member of the team at this point, and it was time to have some real consequences outside of team-member-for-a-day Lucy Lawless. I am glad that Mac didn’t bite it, he’s got a great relationship going with Fitz to help fill the gap left behind by Simmons. Good points about Mac’s connection to Fitz. I’m unsure of what they wanted to do with Tripplett this year. They hinted there might be romance with Simmons, but they just never went anywhere. He was good as a character yet wasn’t involved in the main plots. My leading theory is that a future Eddie Thawne is the Reverse Flash who becomes so with the help of Dr. Wells. I feel that the makers are WAY too smart to create a character everyone suspects is the Man in the Yellow Suit, and then have him revealed to be exactly that. So I think it’s a misdirect. But only time will confirm. I get into more details in my own Review of the mid season finale below if you’re interested. I’m glad you bring up Koenig and Oswalt’s portrayal. I’ve been saying from day one that I feel that the multiple Koenigs aren’t brothers, but a MCU version of the LMD (Life Model Decoy) that SHIELD has used in the comics. Making the ‘recharging of batteries’ comment that much more of an inside reference. Just a theory. I loved how Skye shot up Ward too. Good for her! I’m loving Season 2 so far, a much better overaul from Season 1. I would love to read and comment on your Constantine Review, but I’m in the midst of writing my own, so don’t wanna be influenced by your thoughts. :p. Without reading it though, I can say that the show definitel needs a lot of improvement to not be cancelled. Awesome Write up Bubba, will try to come by more often. Yeah, I don’t think Wells will be this version of the Reverse Flash, but he’s definitely very closely connected, and what little I know about the comics means that they have a whole lot of leeway on which direction to actually take it. I have actually heard mention of the LMDs and I think that would be awesome if that’s what they are. I don’t know anything at all about the Inhumans, but if that’s where the show is heading then that’s a really great direction for them to go to. 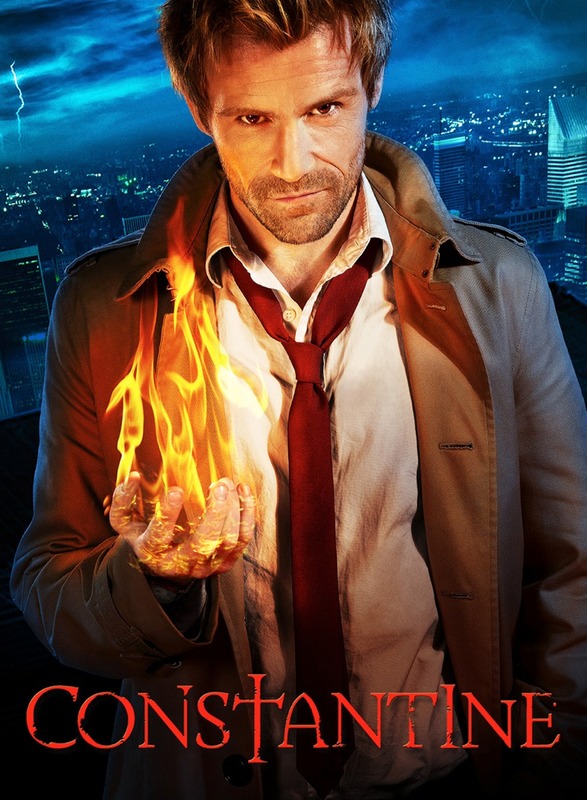 I felt like Constantine had more potential than Gotham to begin with, but it seems like Gotham has found its audience while Constantine hasn’t. Doesn’t help that Constantine airs late night Friday either.